I have a client with a little girl who loves flamingos and wanted a few party printables for her birthday in pink and orange with and a cute flamingo. I couldn't resist adding some fun patterns so I used polka dots and chevron to enhance the printables. Here are some of the items I created for her party. 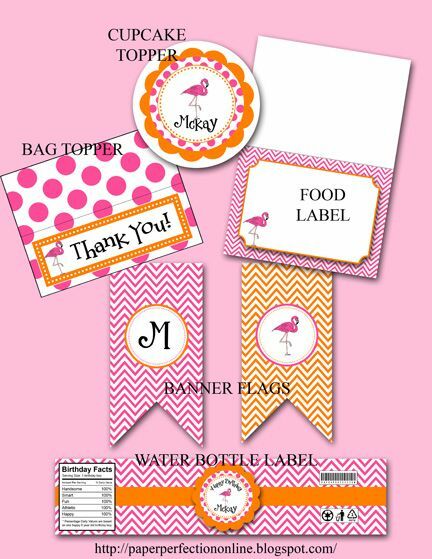 If you would like these items for a fun flamingo party or some custom items for your next event contact Paper Perfection at jtanddolly@yahoo.com for pricing and details.